Just remember, 30th July is International Friendship Day! We all want our children to make and keep friends. But being eager for children to enjoy friendships and be liked is not a parental vanity project. Learning how to make friends is one of the most important building blocks in our children’s social and emotional development. 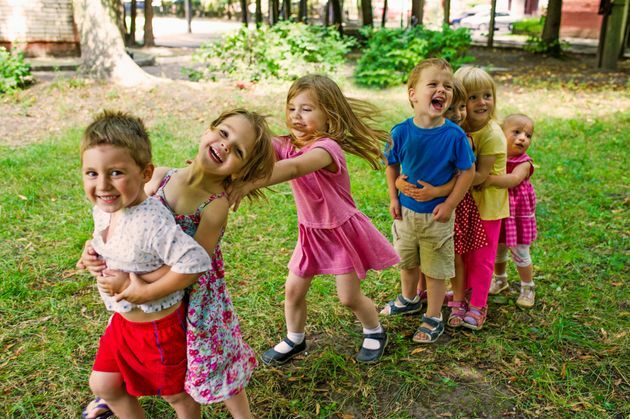 Without love and friendship, and subsequently feeling happy and secure, children can struggle to learn and progress through other developmental milestones and ultimately become happy, well-balanced, emotionally resilient individuals. 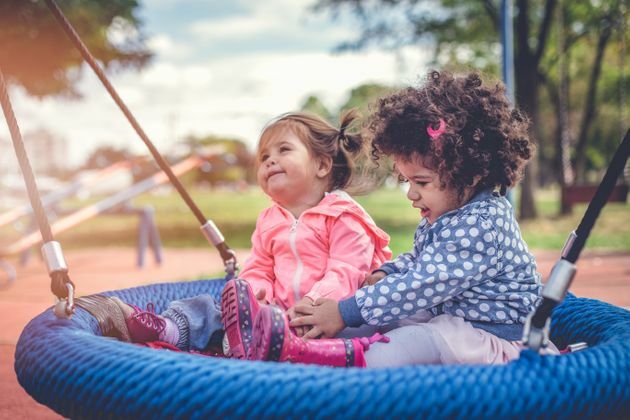 “Friendship is a really important stage in children’s development because they’re turning their interest to the outside world; widening their circle from the special few like parents, grandparents and childminder,” says child psychotherapist Rachel Melville-Thomas. Melanie Pilcher from the Pre-school Learning Alliance says: “When young children seek out their own friends it’s a big step forward in their social and emotional development. They further develop communication skills as they make connections with their peers by finding common likes and dislikes, sharing ideas and playing together. While we might praise our toddlers for ‘playing nicely’, in reality until they’ve begun to empathise with potential playmates, they are simply playing alongside each other without mishap. Elyssa Campbell-Barr, parenting expert and author of Choosing Childcare, says: “Babies are born sociable; they instinctively respond to your cues – eye contact, voice changes – and they love observing older children, all of which are the foundation of social behaviour. Child development experts have defined five styles of play that children develop between toddlerhood and school age. 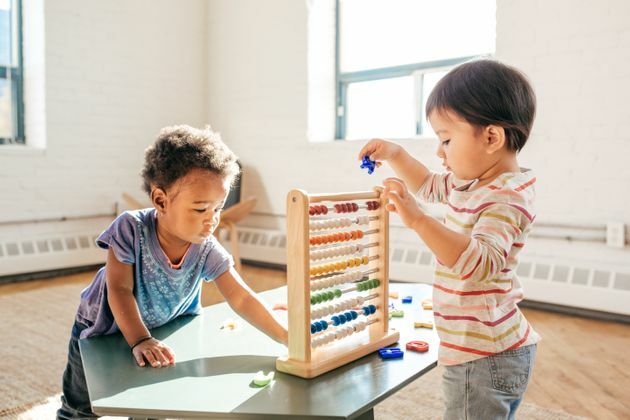 “You may notice that your child prefers a particular style of play and this may be linked to your child’s developing social and emotional skills, the context and the play activity itself,” explains Elyssa. “Play may be ‘solitary,’ so even when they are with other children, your child may be self-absorbed and play independently. You may notice ‘onlooker’ play, where your child is interested in what others are doing but won’t join in. ‘Parallel’ play is a third style of play – two children playing alongside each other, doing the same thing but not interacting. “As children’s social, emotional and language skills develop their play may become ‘associative’ – they interact with their peers, playing together but not in a co-ordinated or organised way. Children need time to develop the skills for co-operative play as this requires setting and following their own rules and acting as a team. So how can you help your child learn all these friendship skills? “You can help your child develop the necessary skills by encouraging your young child to share, take turns and be considerate of others’ feelings. But if they get it wrong, try to respond with understanding and patience and model positive ways to share and negotiate,” says Elyssa. Show your child how the company of your friends makes you happy and how you value their feelings. Smile and greet people you know when you’re out with your child. “Role playing with toys and playing out storylines with your child is a good way to explore emotions and learn how actions affect others’ feelings, for example, by telling the big train off for being mean to the little car,” says Rachel. Around one in four UK youngsters is growing up as an only child – more than in any previous generation. Today’s children may therefore have fewer opportunities for free play with their peers than in the past. That means we parents have a bigger role in helping them form and sustain friendships. Help your child feel confident in social situations by spending time with friends and their children, attending toddler groups and giving them the chance to interact with new children at the playground or soft play. If you organise a play date, plan ahead by chatting with your child about what the friend might like to do. Think carefully about the toys and whether your child might prefer to keep special toys that are hard to share out of sight. The best play date activities involve co-operative play – like construction toys, train sets, sand or water play. Keep the first session short and sweet – an hour is plenty for young children. Some final words of advice from Elyssa, whose own two children are very different – her son happy in his own company, while for her more sociable daughter friendships are very important. Tasmin Kelly, Lessons For Life: How Toddlers Make Friends (2017, June 6) The Huffington Post UK.